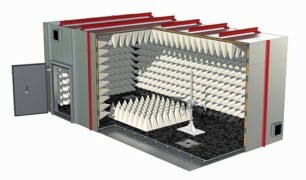 Fuseco is the official Australian agent for Frankonia Germany for the anechoic chamber range. 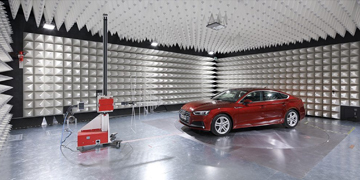 Frankonia is considered to be the premier solution provider for EMC laboratories worldwide to meet the increasing demand for highly specialised testing environments for the electronic and automotive industries. 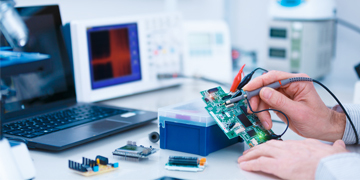 Frankonia maintains its position as the leading EMC solutions provider by investing in extensive R&D, resulting in class-leading technology and innovative chamber designs. 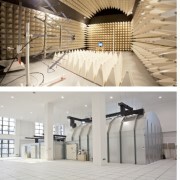 Frankonia is well known for pioneering future-oriented concepts for EMC laboratories and their design capabilities also ensure the very best customised solutions available in the world today. No aging or drooping problems. 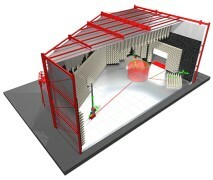 Non-combustible according to DIN 4102, fire-class A2. 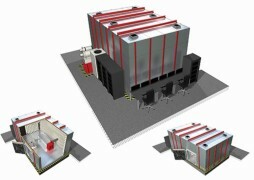 Since Frankonia introduced Frankosorb® thin-film absorber technology, customers worldwide have appreciated its many unique attributes. 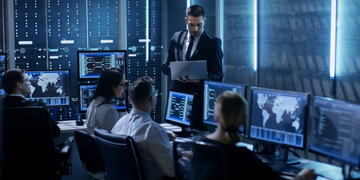 It is now regarded as the ultimate solution with more than 20 years of operation without any reported defects, quality losses, or the need to refurbish. 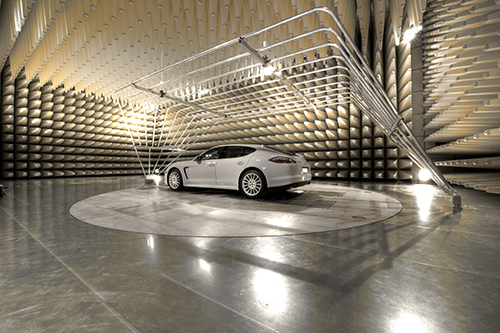 Frankosorb® absorber technology is available either as a hybrid solution in combination with ferrite absorbers or as a stand alone pyramid solution with a length up to 2.4m. 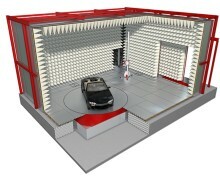 The most important advantage of the Frankosorb® long pyramid absorbers is the covering of the whole frequency range so that additional expensive ferrite absorbers are unnecessary. 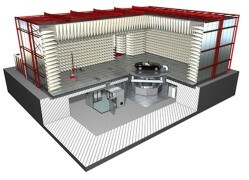 FrankoSorb® RF absorbers are non-combustive and are constructed in “thin film” technology which replaces the carbon filled foam absorber technology. 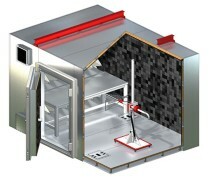 Automotive vehicle testing chamber, Full compliance with CISPR 12 and CISPR 25, 3 meter measuring distance. 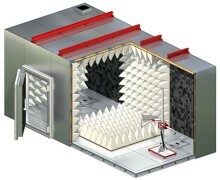 Fully Anechoic Chamber, Full compliance according to CISPR 16-2-3, Full compliance according to IEC/EN 61000-4-3, 3 meter measuring distance. 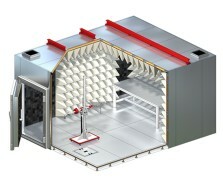 Semi-Anechoic Chamber, Full compliance according to CISPR 11, CISPR 14-1, CISPR 16-2-3, CISPR 22 and CISPR 32, 3 meter measuring distance. 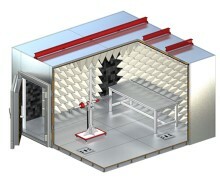 Semi-Anechoic Chamber, Full compliance according to CISPR 11, CISPR 14-1, CISPR 16-2-3, CISPR 22 and CISPR 32, Full compliance according to IEC/EN 61000-4-3, 3 meter & 10 meter measuring distance.